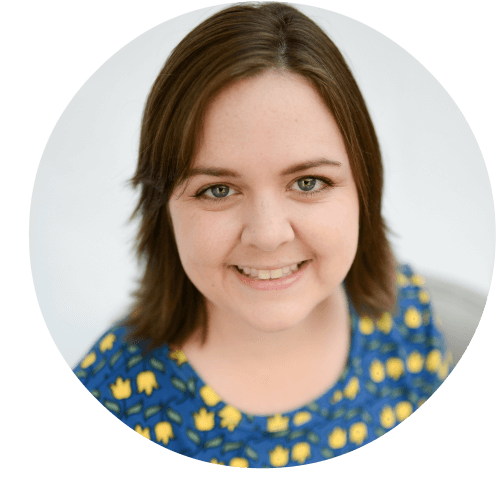 After baby is born, you probably get asked a lot of questions like “Is he rolling yet?” or “Is she starting to crawl yet?”. 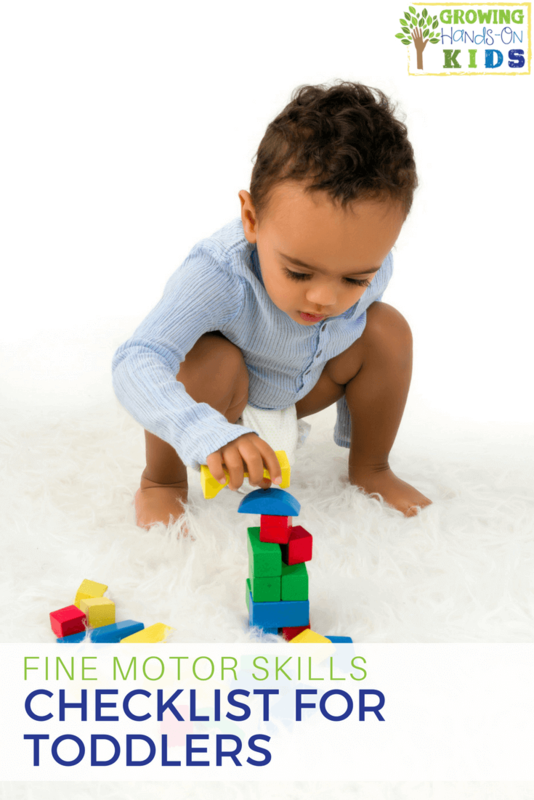 And while all these developmental milestones are very important, there are also smaller milestones related to fine motor skills that your baby will begin to master. 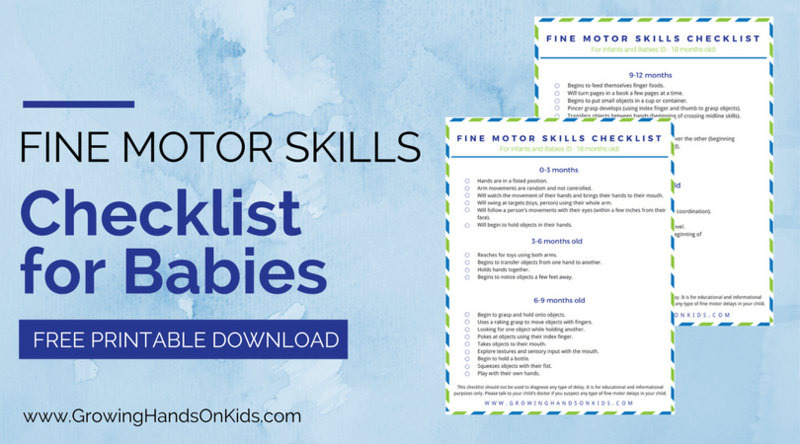 Today I've made a Fine Motor Skills Checklist for Babies ages 0-18 months old. 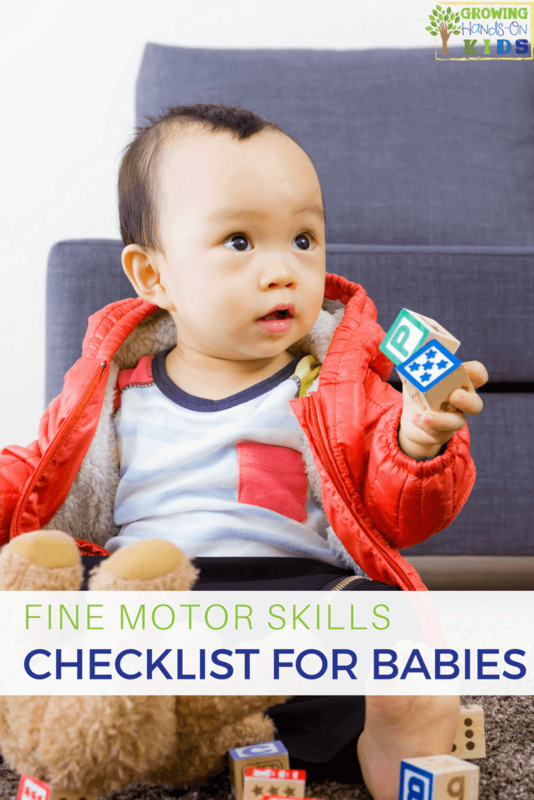 This fine motor skills checklist will be a good reference guide so you know what your baby will be working on and mastering the first 18 months of his or her life. 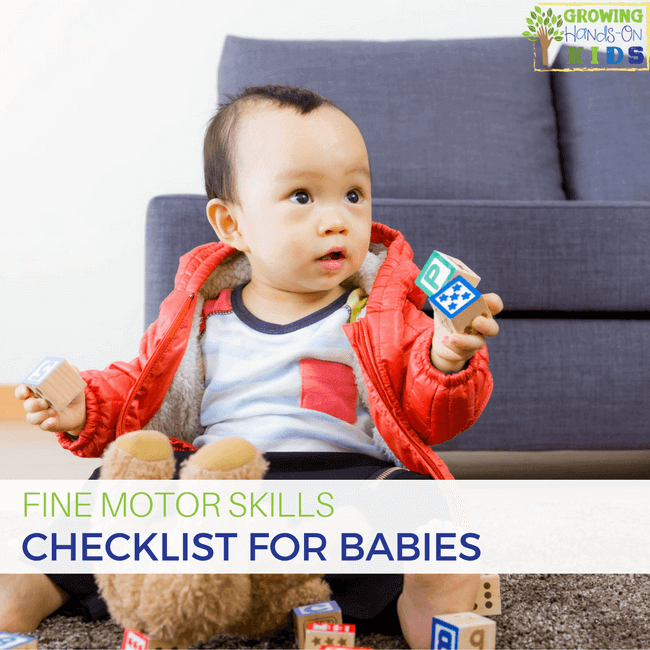 Remember, this list is not to be used to diagnose a developmental delay. 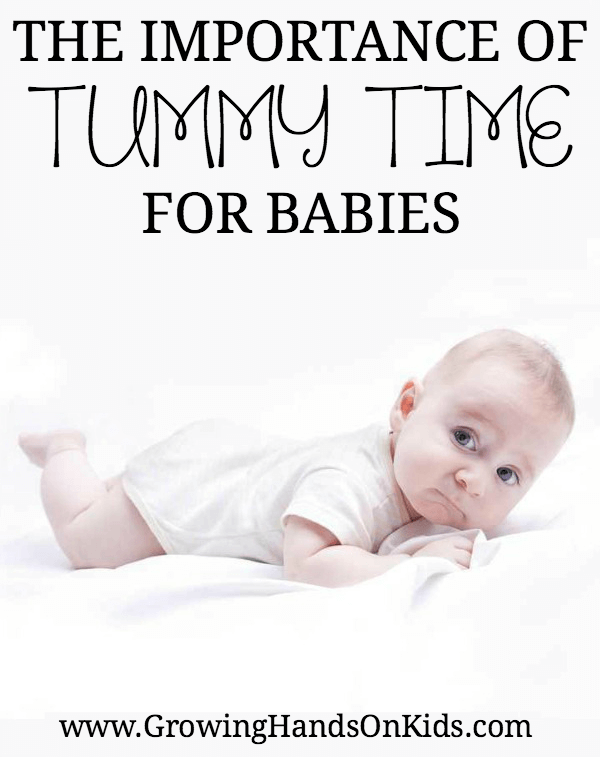 If you do have concerns about your baby's development, please talk to your doctor. Hands are in a fisted position. Arm movements are random and not controlled. Will watch the movement of their hands and brings their hands to their mouth. Will swing at targets (toys, person) using their whole arm. Will follow a person's movements with their eyes (within a few inches from their face). Will begin to hold objects in their hands. Reaches for toys using both arms. Begins to transfer objects from one hand to another. Begins to notice objects a few feet away. Begin to grasp and hold onto objects. 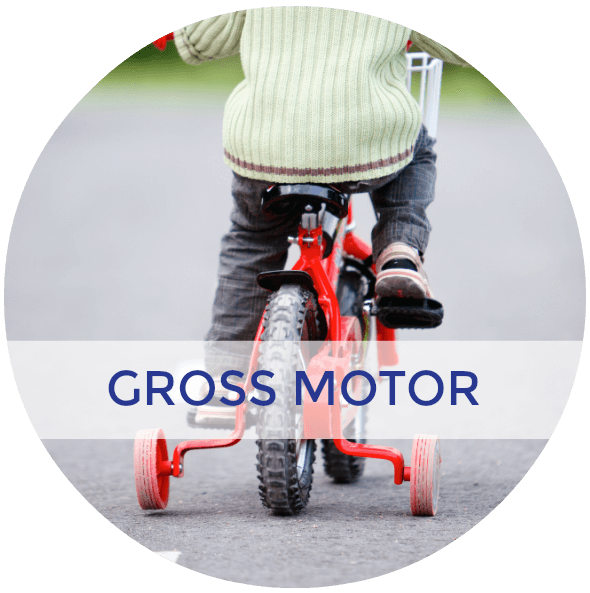 Uses a raking grasp to move objects with fingers. Looking for one object while holding another. Pokes at objects using their index finger. Takes objects to their mouth. 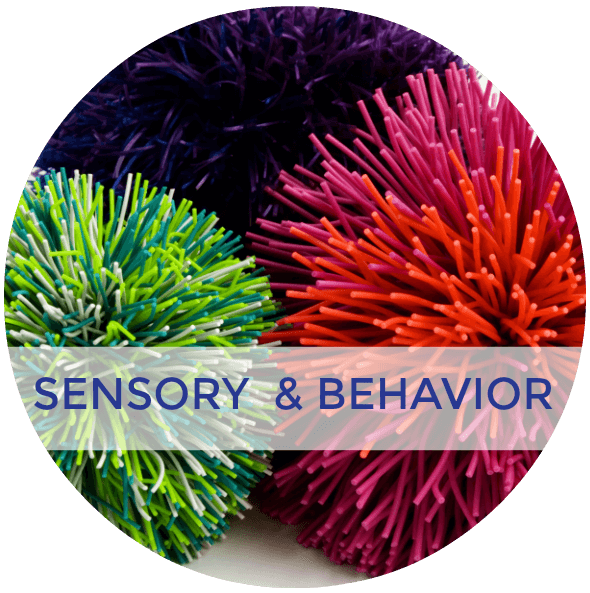 Explore textures and sensory input with the mouth. Begin to hold a bottle. Squeezes objects with their fist. Play with their own hands. Begins to feed themselves finger foods. Will turn pages in a book a few pages at a time. Begins to put small objects in a cup or container. 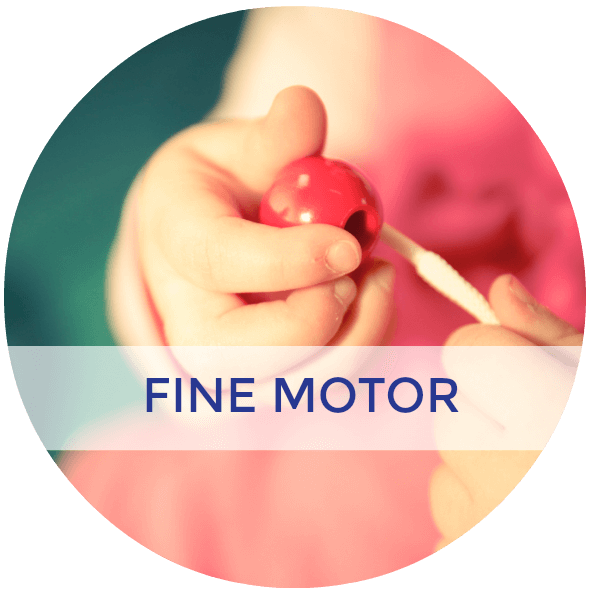 Pincer grasp develops (using index finger and thumb to grasp objects). 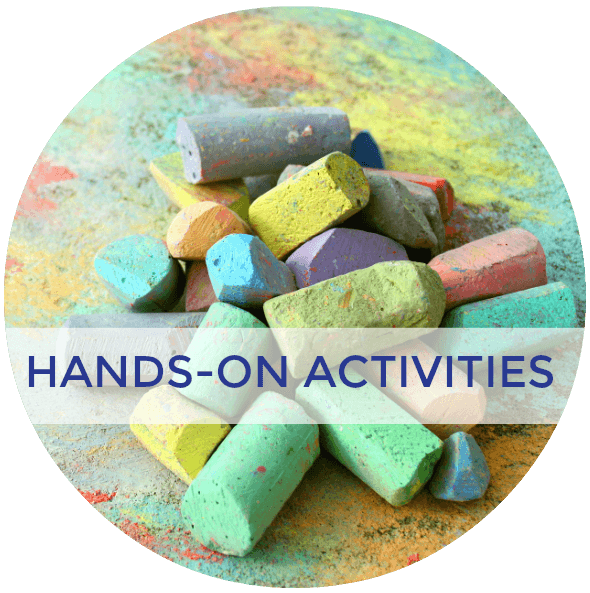 Transfers objects between hands (beginning of crossing midline skills). Grabs crayons with a fisted grasp. Can hold two small objects in one hand. 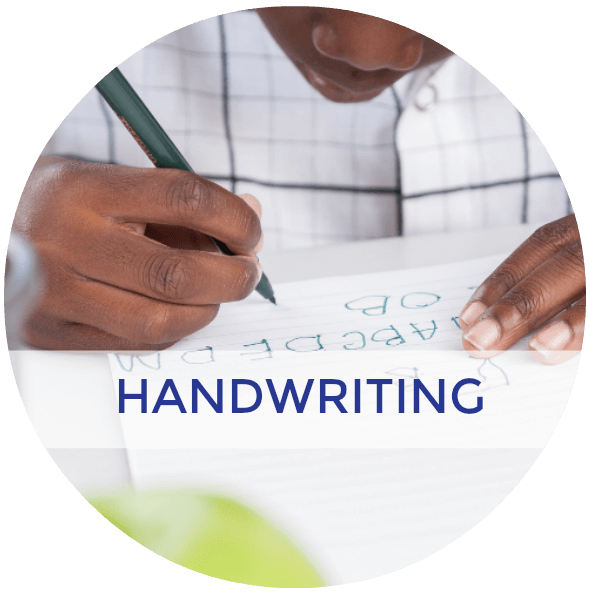 Begins to show a preference for one hand over the other (beginning development of right handed vs. left handed). 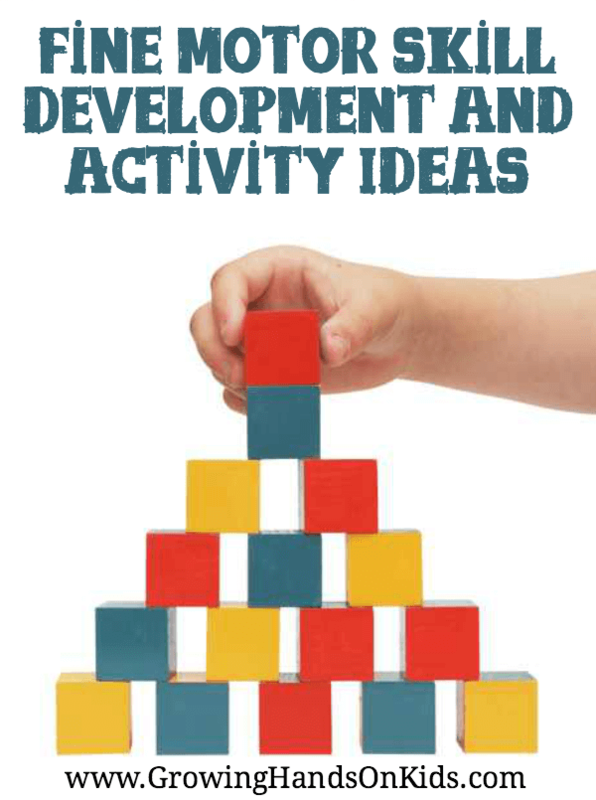 Can build a tower of 2 blocks high. Claps hands together (beginning of bilateral coordination). Can scoop objects with a spoon or small shovel. Bangs objects together using both hands (beginning of bilateral coordination). Puts small objects into a container. Scribbles with crayons on paper. 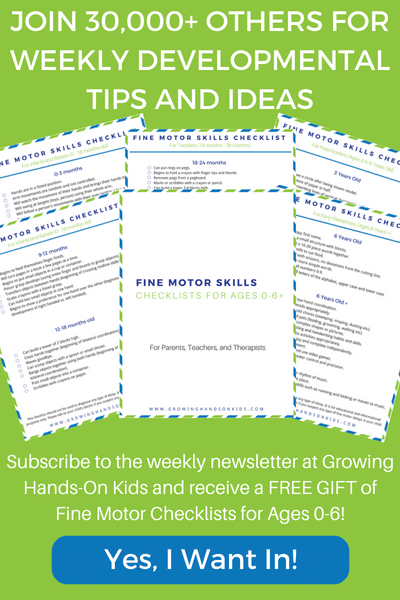 To get a free printable download of this fine motor skills checklist, enter your e-mail address below and click the green “CLICK HERE” button. Head to your e-mail inbox to confirm your subscription (double check your spam or promotions folder if it's not in your inbox). 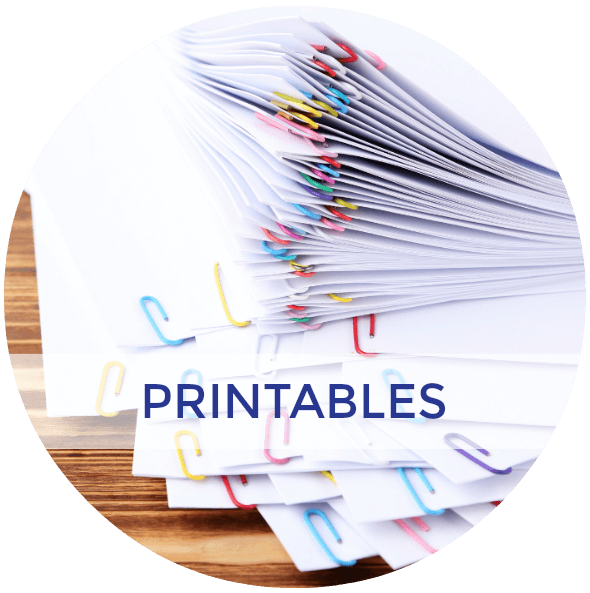 Once you confirm, you will get your printable sent automatically to your computer. 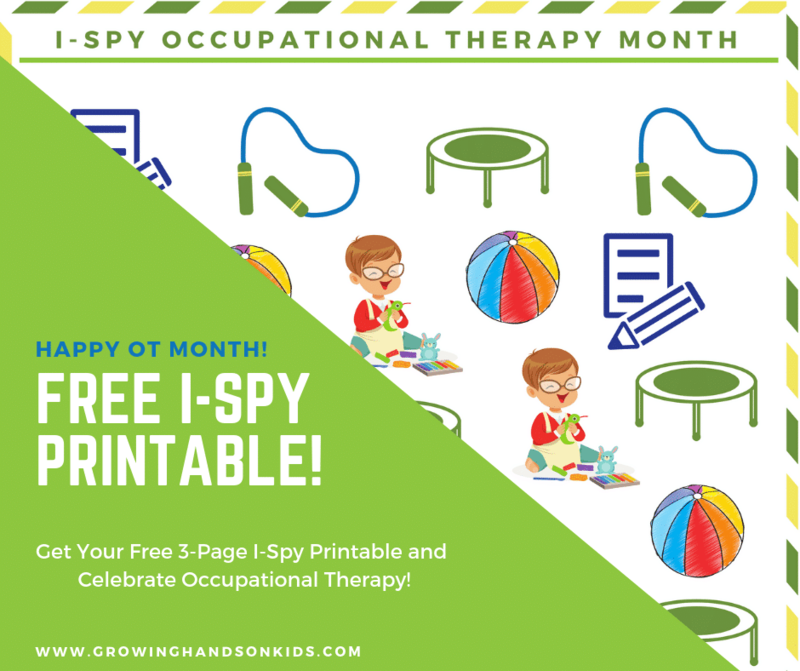 You'll also get 5 days of fine motor tips from me and resources for all ages! 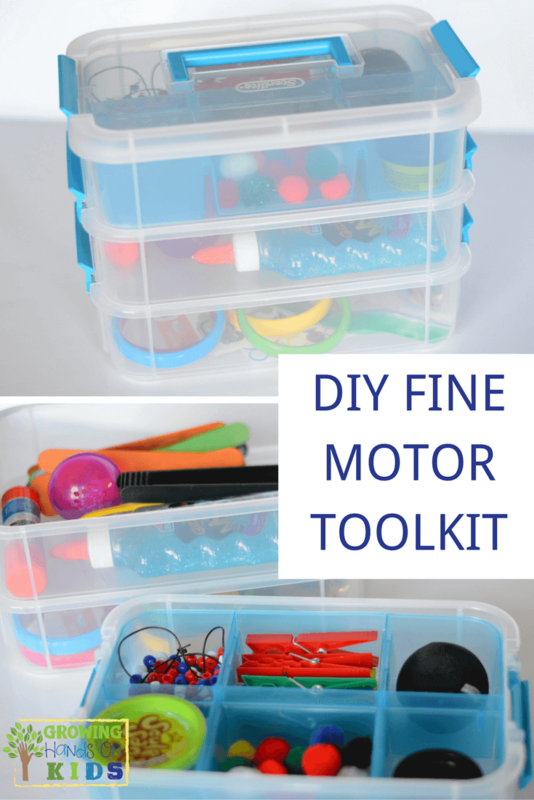 For more fine motor ideas, check out the resources below.